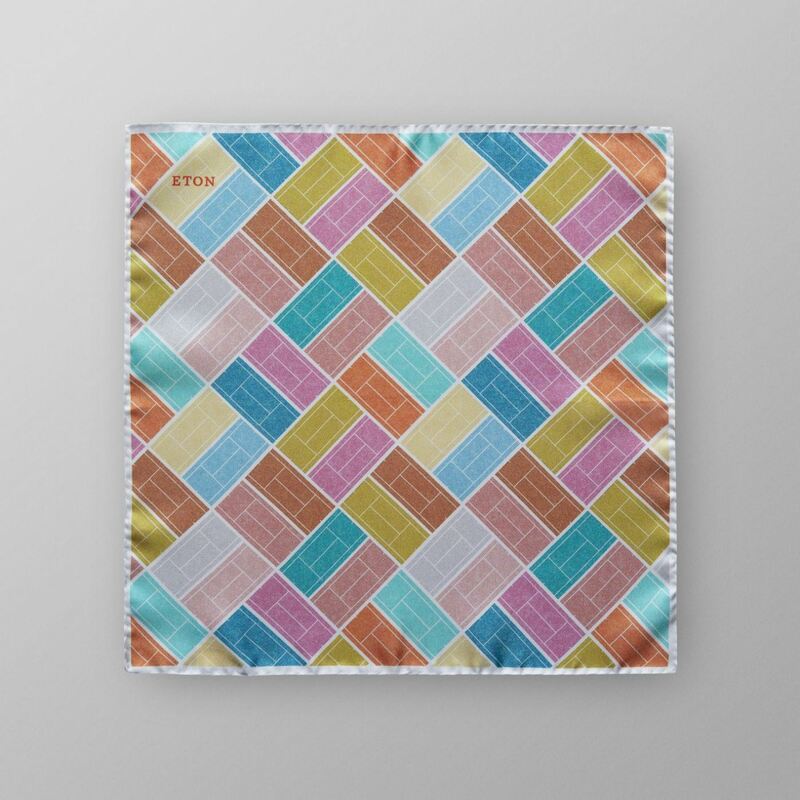 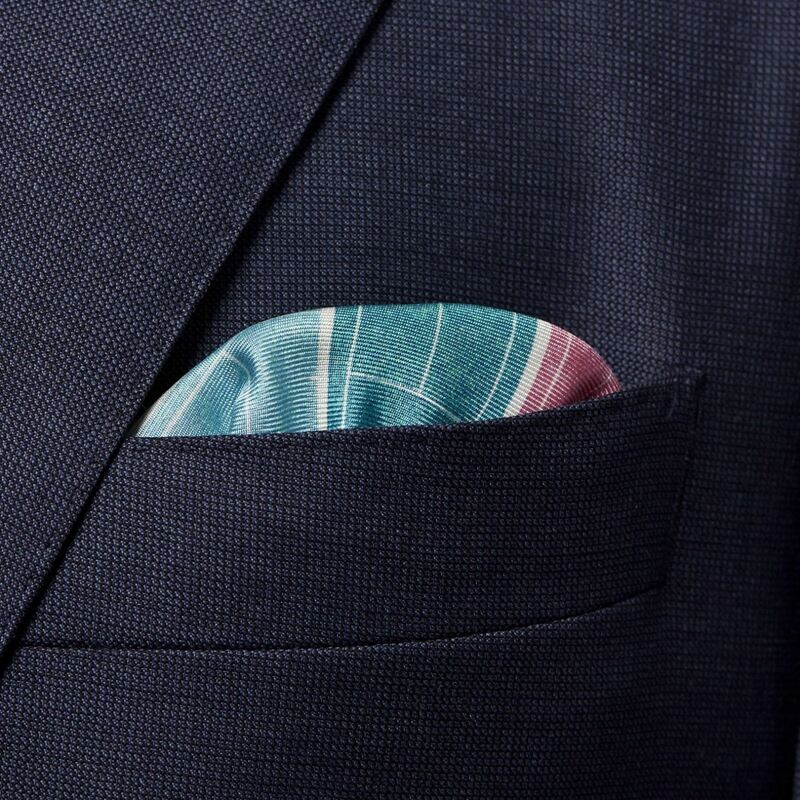 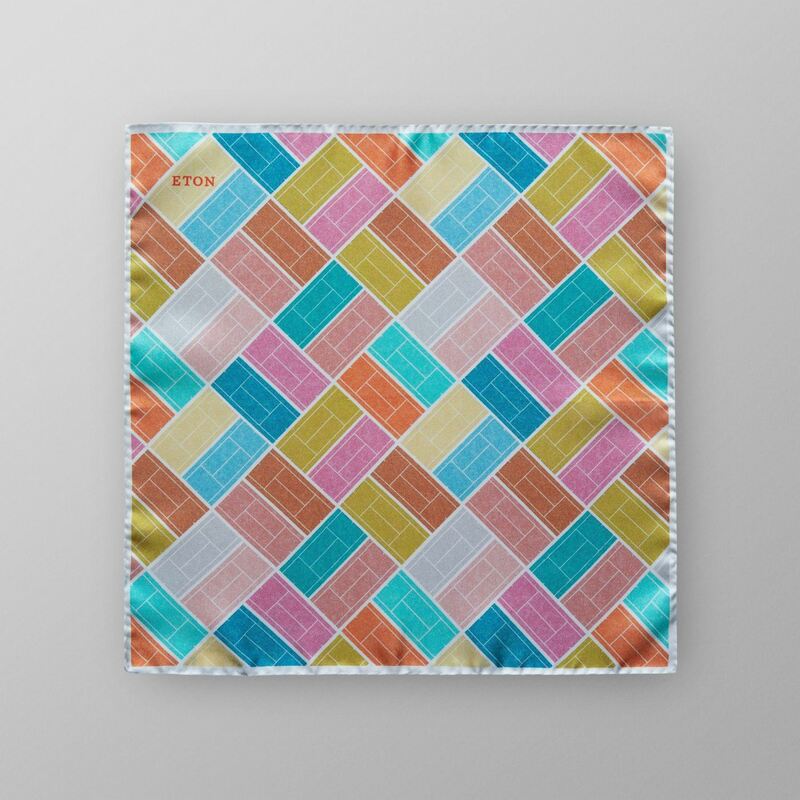 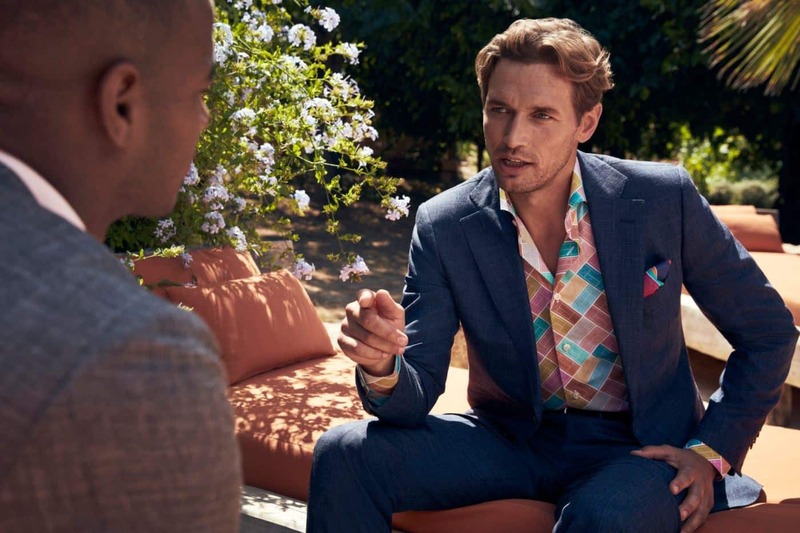 A colourful and versatile pocket square in saturated hues. 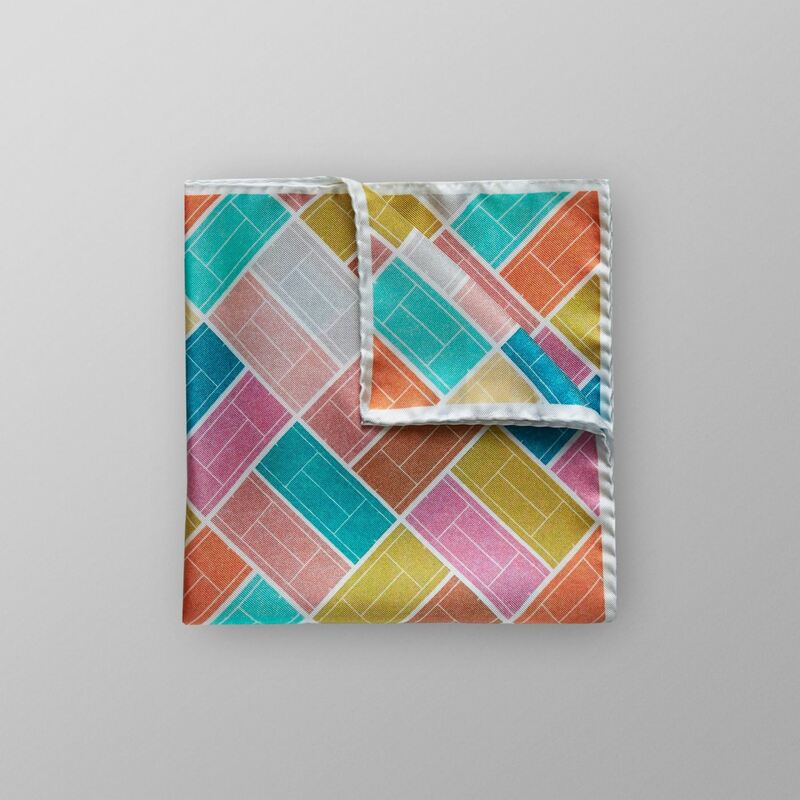 This print might look like multi colored blocks at first sight, but take a closer look and you will spot small tennis courts in the pattern. 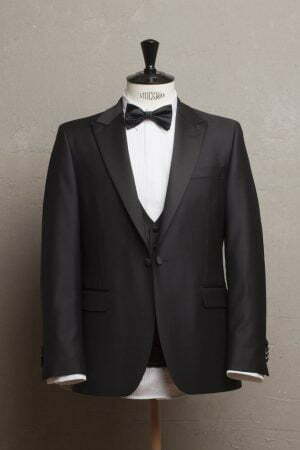 Wear this pocket square together with a unlined navy suit and a crisp poplin shirt to create a smart casual look for the next dinner party.